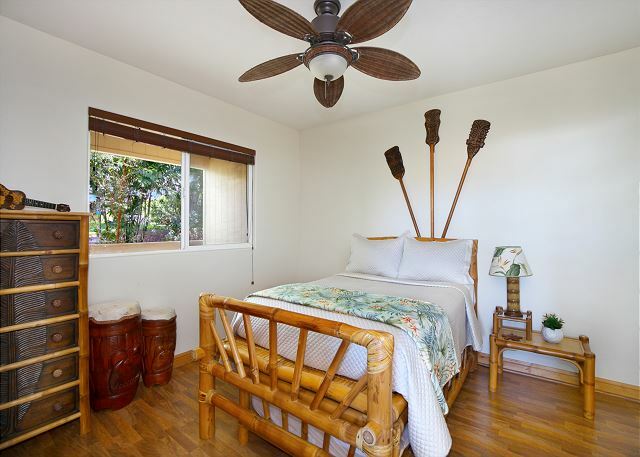 With ample room and durable bamboo decor, this plantation-style beach house is perfect for large groups, wedding parties and family reunions. Comfortably sleeping 14, look no further for the perfect gathering place for friends and loved ones! This 6000 square foot home is split into two identical suites. The “Turtle” and “Dolphin” suites can each accommodate 7 adults, with private living areas, kitchens that can seat 12 and enclosed garages. 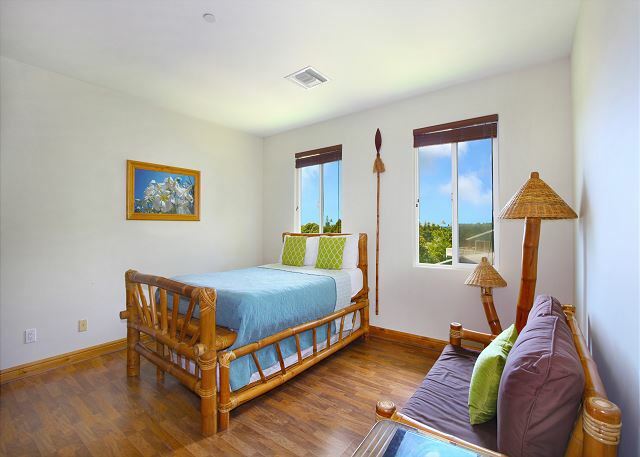 Just steps from the beach, enjoy panoramic ocean views from the upstairs lanai and garden views from downstairs. A historic lava rock wall surrounds the property on three sides, softened by 100-year-old Monkeypod trees and tropical foliage. Enjoy BBQs in the large yard and special access to the Poipu Beach Athletic Club! With a convenient location, spacious layout and ample amenities, this vacation rental has something for everyone. We rented Pane Makai-House in Poipu for a week. There was 14 of us and as we had rented both sides it was comfortable and roomy for all. It was very clean and had a great location. The rental company was very prompt with their response if we needed anything or had a question. I would highly recommend this vacation rental for anyone. Great Home for a Family Reunion! We rented both sides Dolphin and Turtle. The house has plenty of space for all. We found everything we needed including an abundance of beach towels. The proximetry to Poi Pu beach was perfect. Every morning we would take a 5 minute walk to see the sunrise on the beach and watch the turtles. The management company was very nice. Will definitely rent this home again! Plenty of room. Very clean. Helpful management. Great location. Fantastic place to vacation! Great place to stay. Walking distance to the beach. Large enough so it doesn’t feel crowded. This was a fantastic experience for our children, spouses and grandkids. Very spacious and comfortable. The owners were very helpful and responsive to our needs. The proximity to the beach was fantastic. The Athletic Club membership was a hit for all ages as we went there each night. I would highly recommend this place and would go back in a heartbeat! The Fletcher Family was very pleased with the property. They said it was absolutely perfect. I will definitely be referring my larger groups of clients to this property again! Overall a great stay, great location, and great units! 40th Anniversary Stay with family! Could not have been better for our 40th anniversary vacation with our kids/grandkids. Location was fantastic. Very spacious! Great amenities. Kalapake Joe's next door was a lot of fun! Kids loved option of ocean a block away and pool 1/4 mile up road! Converting double beds to queen/king size would be only suggestion! Very spacious for condos!! Concierge service was very attentive!! Very well managed! 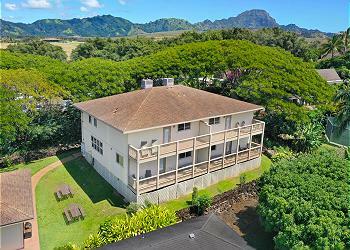 My family, totaling 9 persons, couldn't have asked for better accommodations, location, or service from Kauai Exclusive. Their customer service was first class and the rental property was fit for royalty. We had a problem with the door lock on the first day (Dolphin) but was resolved within a day. The furnishings were amazing. At the last minute, our volleyball team from Oahu decided to participate in a Memorial Day weekend tournament in Kauai. 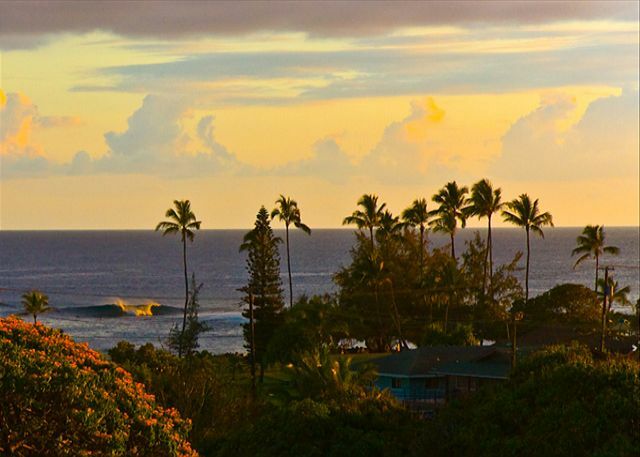 We looked around and found the Pane Makai house and the Koali House available during that weekend. They turned out to be gems since they were located across Poipu Beach Park. Our kids could walk across the street to go to the beach and bodysurfing. The houses were very spacious, clean and well equipped. We were missing the propane tank for the gas grill and through their phone help line it was replaced very quickly. 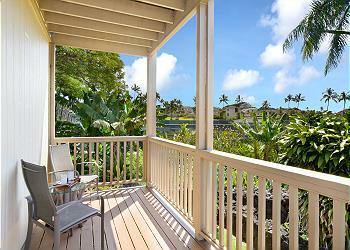 We would definitely stay there again on our next Kauai trip. We had a family holiday - 17 of us including 7 children with ages ranging from 2 to 11. The location was perfect - close to both a child friendly beach and surfing - but not too close so we didn't have to worry abut the kids. The house was spacious and we had all we needed to provide for ourselves and have a great family time. What a wonderful place - class, style, comfort, location, amenities you name it - we never felt we left home and if we were to return this will be the place once gain to stay. Made our holiday more than worth the time. We rented Turtle and Dolphin, along with another house down the road (Hale Halia), for a family reunion to celebrate my Dad's 80th birthday. Our experience with both Turtle and Dolphin, and the management company, was really wonderful. 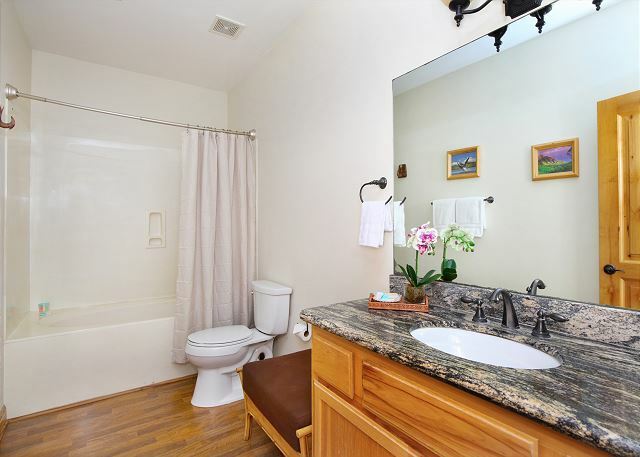 Aside from a toilet that was not flushing properly when we arrived (and was quickly repaired), all of the appliances and furnishings were in great shape and worked perfectly. I was very impressed and happy with the responsiveness and professionalism of the management company. We were pleasantly surprised by all of the beach gear that was available at this home, too, along with a fully charged propane tank for the gas grill, which we put to good use when the gas grill at the other house was out of propane. I would definately recommend Pane Makai, great value and wonderful access to the beach, without being in the thick of the beach traffic. 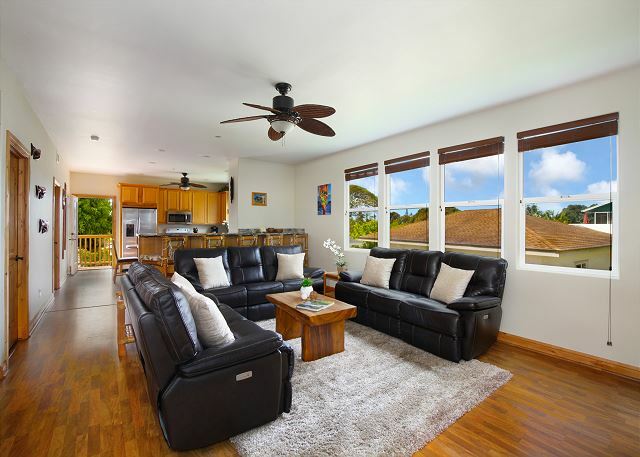 Great location for the Poipu area. The house was very clean , and spacious . Plenty of restaurants near by or just cook or BBQ at home. All of the things you need for the beach also included. Have a great time. 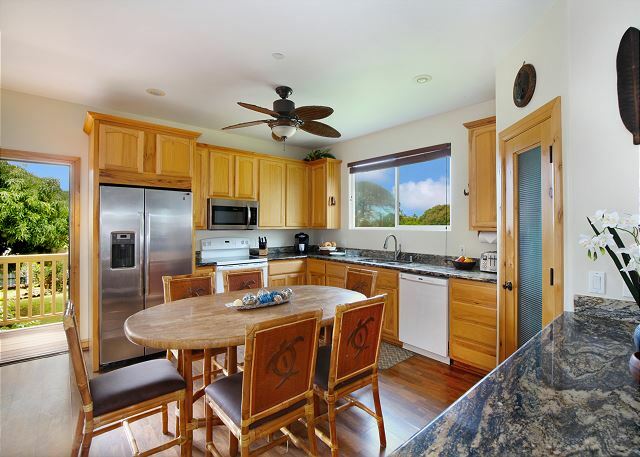 We stayed here for a family reunion with 12 adults and 5 kids and there was so much space!The property is in an amazing location, minutes walk to Poipu Beach Park and Brenneke's beach. Concierge service was SO helpful with quick responses. Beautiful views from upstairs balconies and furniture was unique. Lots of beach gear in the garages. Only issue was the door codes were changed very early in the morning on our last day and we were almost locked out! We would definitely stay here again! We had plenty of room to sleep and we were not crowded which was surprising for a large party. 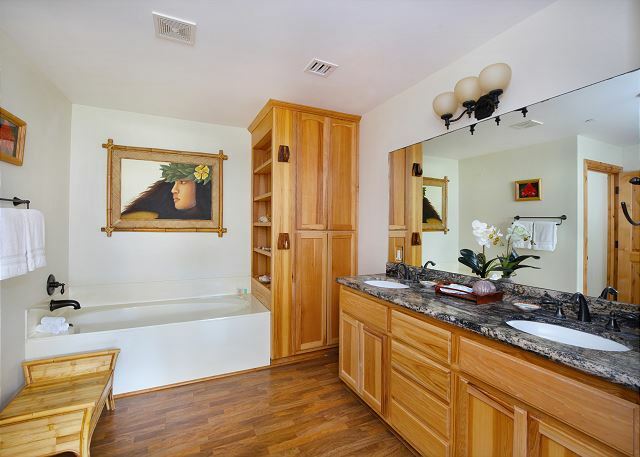 The home was immaculate and the property was well-maintained. Great location and wonderful duplex. Lots of beach toys to use. The only problems were very slow internet and the washing machine in 'The Dolphin' was broken. We were one large group sharing both sides so we managed with the washing machine in the Turtle side. The lock codes were changed the morning of our departure before check out which almost caused an issue. Aloha, Thank you for your feedback and we have taken action and upgraded our internet. The washing machine was repaired once we were made aware of the problem. Regarding the lock codes, that was a breakdown and we are glad it was a non issue. 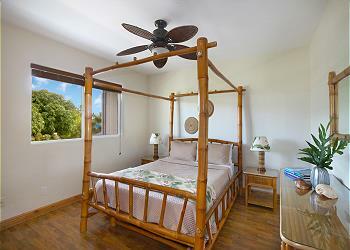 We are available by phone 24/7 at 877GOKAUAI if any of our guests have an on island emergency. Again, thank you for the feedback and thank you for being our guest! A wonderful start and perfect accommodation for our needs, but unfortunately was cut short by two impending hurricanes. We rented the two units as we had 13 in our group. There were lots of sleeping "beds", some were futons, some trundles. Upstairs area is huge, but has no closets to hang clothes. Kitchen was well supplied, and the place was very clean. We had some initial trouble with the door code, since no one told us that if you enter a code wrong 3 times, it locks you out. But the property managers were very available, and helpful and courteous, and soon got us straightened out. We discovered that if we closed the windows, the Kauai roosters didn't wake us up. All in all, the place is very, very nice, and an ideal place, close to the beach, especially if you have a big group to house. The house was very spacious and allowed our two families to have a great vacation together while still providing space and privacy as needed. The two homes could easily accommodate 10+people each. I would definitely stay here again. The amenities and location were amazing. We had a family vacation here that utilized both units. There were 12 adults and both units was able to accommodate our large group, with extra space to spare if someone wanted to sleep on a futon. Definitely a good location, within a short walk to the beach. Would defintely stay here again. Wonderful. Roomy, the house had everything we needed. Close to the beach. All was great !!! We are from Kauai but had family and friends over for a wedding and family reunion so we rented both the Turtle and Dolphin sides of Pane Makai. Look at every other review that raves about the location, the facilities, and the price and you'll understand why this place is so great. It is really huge and can accomodate big groups of 14 to 20 people. The management team, led by Josh Rudinoff, are incredibly professional and thoughtful and go out of their way to make sure guests are happy. There were 18 of us using both Turtle and Dolphin. There was tons of room - could have put another couple of families in there. What a great place and the proximity to the beach was awesome. I don't have a lot of experience with vacation rentals, but I have to believe this was the most well equipped place you could pick out. I highly recommend this to anyone. This place is great! 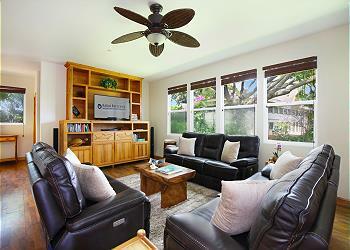 Very spacious, modern and excellent for entertaining. 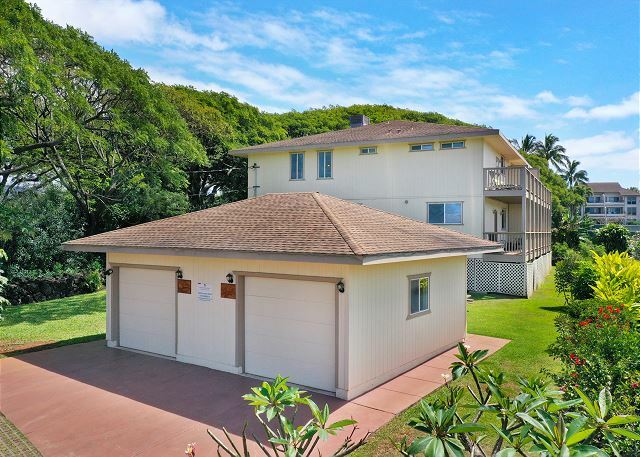 Great location - just a block away from Poipu beach. We just fear that the place (currently for sale) will no longer be available in the future. We love this place and hope to stay annually at this time. Everyone had a wonderful stay. All amenities are there and we really didn't have any complaints. Loved the AC, grill, and plenty of room. We had an amazing time on the south shore! 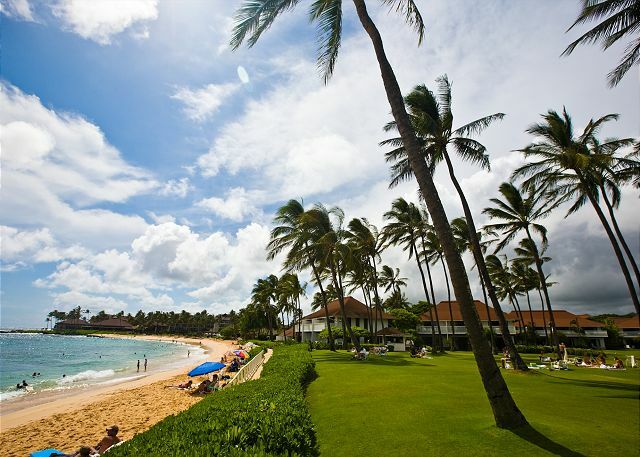 I have vacationed on Kauai about a dozen times but I have always stayed on the north shore. After our stay at the Pane house we will definitely be staying on the south shore from now on. The house met our needs exactly. We were within walking distance to the beach, shopping, and restaurants. Kalapaki Joe's was literally right in our backyard! Everything on the island closes at 10pm so there was never an issue with excessive noise from the bar. 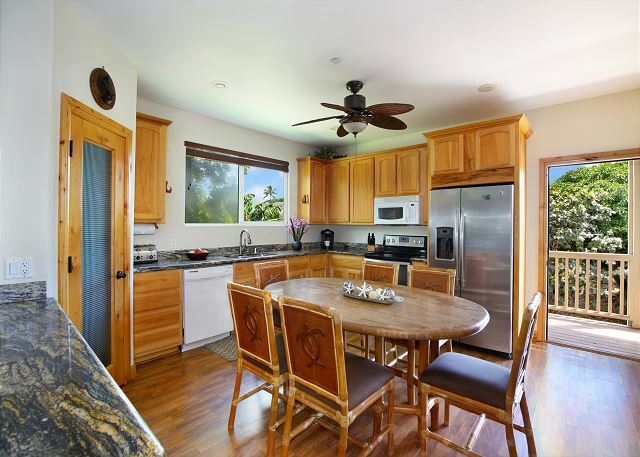 The house was very spacious and clean with updated appliances and granite countertops. Being able to cook many of our meals at the house definitely saved us money in the end. We plan on coming back next year and would highly recommend staying there.